Givling, an Android based app created by SPEC INDIA is a rage with its innovative concept of gamified crowdfunding. A Trivia game, puts students with study loans in a queue and pays off their loans with the money collected from other players. It keeps the excitement on by dishing out daily cash prizes to the players as well! The players payoff the student loans by scoring in a game of questions and answers and collecting coins. Givling verifies the student loans, is secure and assures the players that their money is used for the intended purpose by authenticated recipients. Mixing fun and a social cause makes the game worthwhile, interesting and exciting. The Queue line up in the game, equally distributes the money amongst the top few students in the queue until their loans are paid off. New recipients replace the ones whose debts are cleared. The payments are done in the most conducive manner through Paypal or Braintree and are easily encashable. Givling is available on Google Playstore for Android 4.2 and upwards. 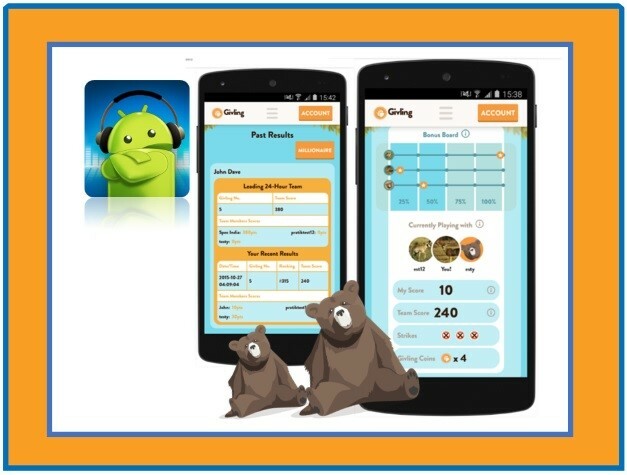 This game is offered by Givling inc. Development activities to make Givling available for iOS based devices are underway at SPEC INDIA. SPEC INDIA announces a handy, practical and helpful plugin which works with all existing iOS and Android based apps, allowing Users to connect to Customer Support from their phones with TeamViewer; the pioneer in Remote Troubleshooting and Screen Sharing over desktops & smartphones. This declaration promptly follows the launching of the Screen Sharing SDK allowing app developers to customize and integrate Team Viewer within existing iOS and Android Applications. The use of real time screen sharing in this solution by SPEC INDIA is all set to direct the users to solve the problems or let Customer Support take control of the App on the user device remotely to trouble shoot. Ready to be rolled out with existing Android and iOS based apps, a simple ‘HELP’ button sends a request to the Support Teams through this very innovative plugin. This can be used with ease and assurance by users of various levels of exposure having access to TeamViewer. This new value added service app gets added into the versatile mobile technologies portfolio that SPEC INDIA boasts of. They say “Together Everyone Remains on Your Side” and that is the power that we give to you with the TeamViewer Plug-in. Truly said, that Smart Apps are all set to change our lives to smarter ones, at SPEC INDIA we believe that this is just the beginning with Smart Watches. 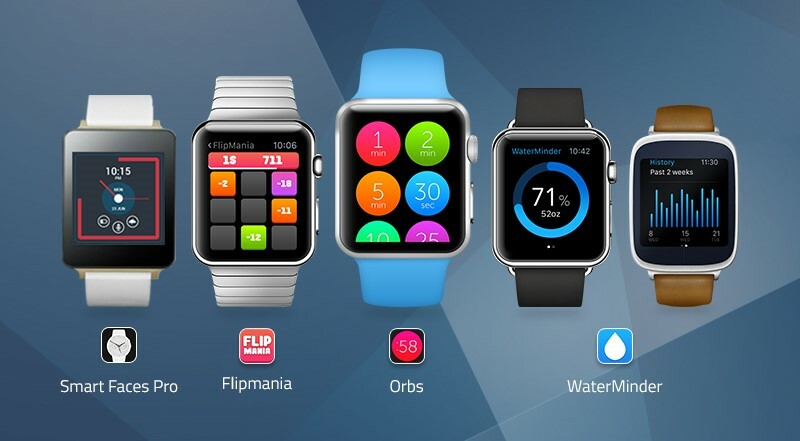 Moving ahead with niche apps for smart watches for both Apple and Android, we are all set to putting technology to provide better quality of life. After launching Smart Wear earlier this year, SPEC INDIA launches four new apps for the very savvy wearables that have found way into our lives. These apps take care of everything that matters – style, health, entertainment and more. We add one more feather in our cap with the launch of Smart Faces Pro into the kitty of apps for wearables technology. Now available on Google Play Store, Smart Faces Pro is an app to turn the Android powered watches into timepieces oozing style and class. Allowing Downloads on both round and square time pieces, the nine alluring designs are worth checking out. If remaining healthy and fit is the mantra of the day & water is the healthiest drink on the earth, WaterMinder is the App to watch out for. A simple and intuitive reminder to keep track of the water intake it also helps to set goals of water intake based on body weight. Can be put to use by a variety of people like Children, Athletes & Sports People, Less Active People or People on the Move. An intriguing game of numbers on your smart watch to keep you entertained on the move. FlipMania challenges your skills in math and puts your reflexes to task as well! Sharpening your brain was never smarter and easier. A Quick & easy App to setup timers for a variety of different activities done throughout the day, both on the fingertips and the wrist. This app can be used ingeniously to enhance your lifestyle by helping you to make most of your time. Orbs is available on the Apple Store. Check out our portfolio for what we do on mobile technology and request for a free PoC. When Apple ventured into supporting third party keyboards for their new devices iPhone 6, iPhone 6S and the iPad Air 2 launched recently, we have taken the clue. SPEC INDIA offers to you various keyboard apps to act as your typing assistants in all ways. These intelligent apps aim to make keying in easier and faster for all users by offering pop up keys, smart predictions and automatic corrections to enhance the writing style and speed completely. Ergonomics is a fast evolving discipline with the sole purpose of understanding and designing devices that suit the human body. It explores methods and mechanisms for comfortable and functional design of implements to be used by people. 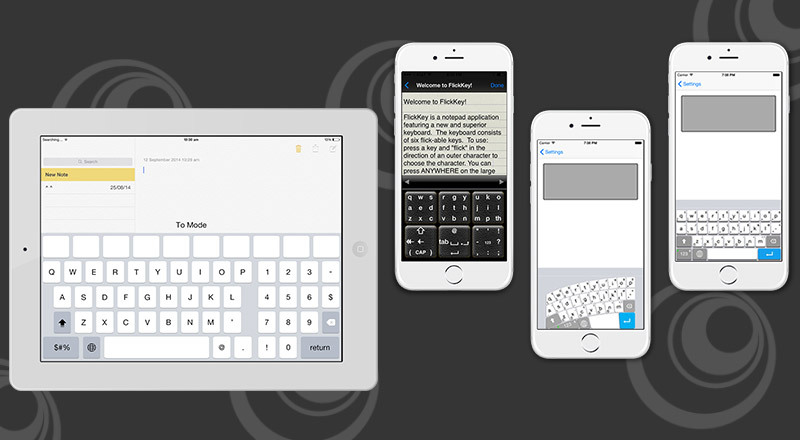 SPEC INDIA brings this discipline to their much acclaimed iOS 8 based keyboard apps. The latest in the kitty from SPEC INDIA, is the Arch Keyboard App developed for one of our customers which makes the larger screen size of the new iPhones more purposeful. The Arch Keyboard adapts to the users’ hands and offers a left handed or a right handed keyboard facility as well. The layout of the keyboard can be changed to portrait or landscape and proves to be very useful when typing with only one hand. The movements of the thumb become easier and smoother, making typing a relaxing experience. The keyboards even adapt to the way the hands move more frequently and change intelligently according to the typing patterns. Custom phrases can be registered to avoid typing and to increase speed. The predictive conversion facilities too are included to make the user experience faster and richer. We also have been development partners for the FlickKey App, a fast and efficient keyboard with six flick-able keys. Each key allows access to nine characters. These large keys are hard to miss and easy to hit. FlickKey is a notepad app which allows easy typing in of messages, which can be later copied onto any other app. Composing an email, typing a message or searching on the web is swift and effortless with FlickKey. The font sizes can be altered to enable comfortable reading. With this insight and experience of developing applications for keyboard usage we exhibit our prudence in making devices comply with ergonomics as the call of the times. Mobile devices have become more than an integral part of day to day lives. Be it at work or at home. We design purposeful applications to enhance the elegance of iOS and bring special user experiences to the iPhones making the phones smarter day by day.